Akratic Wizardry: A Lyonesse FRPG is coming! A Lyonesse FRPG is coming! Exciting news from the good people at the Design Mechanism: they will be producing a freestanding RPG (using the Mythras rules) based on Jack Vance’s classic Lyonesse trilogy! Jack Vance’s high fantasy masterpiece, Lyonesse, is to be brought to life in a new roleplaying game by The Design Mechanism. Licensed and approved by Spatterlight Press, Lyonesse is a standalone game based on the acclaimed Mythras system. 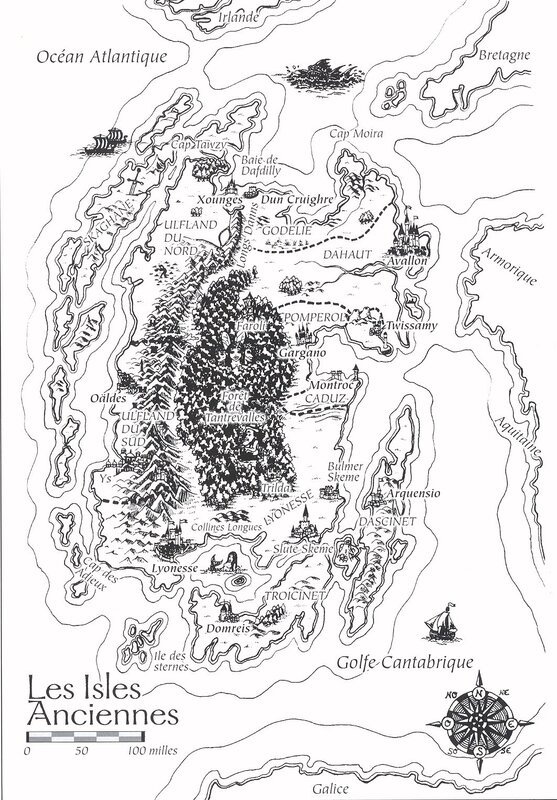 The Lyonesse trilogy – Suldrun’s Garden, The Green Pearl, and Madouc – tells the story of the Elder Isles, and the ambitions of King Casmir of Lyonesse to bring its fractious kingdoms under his sole rule. Lyonesse is a setting of high chivalry and low cunning. Noble knights rub shoulders with self-serving tricksters, while capricious fairies and child-eating ogres haunt the dense expanse of the Forest of Tantrevalles. Itinerant magicians peddle charms and potions at the Goblin Fair, while kings hoard magical treasures such as the prophetic mirror Persilian. Great armies clash in fierce battles, while the navies of Lyonesse and Troicinet seek to outwit each other on the coastal seas. The new religion of Christianity coexists with the older gods of Hybras, such as Lug of the Sun, Matrona the Moon, Sheah the Graceful, and innumerable parochial half-gods. Using The Design Mechanism’s Mythras mechanics, the Lyonesse roleplaying game is presented as a standalone game with all the rules necessary for play. 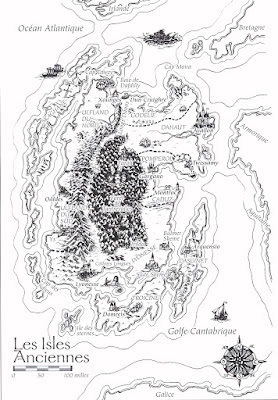 The book will provide a detailed overview of the Elder Isles and its history, its kingdoms and politics, and, of course, its movers and shakers, from King Casmir to the arch mage Murgen; from Shimrod to his nemesis Faude Carfilhiot; from villains such as Visbhume and Torqual, to heroes like Aillas, Dhrun and Madouc. I’m thrilled by this unexpected development. Vance’s trilogy is one of my all-time favourites. And, of course, Mythras is a brilliant system. Two of my favourite things mixed into one package!